Switch to Shop-Overview with Shirts for Men or Shirts for Women! In our shop the fans of Europe and the European Union (EU) find all the shirts to show their affection! 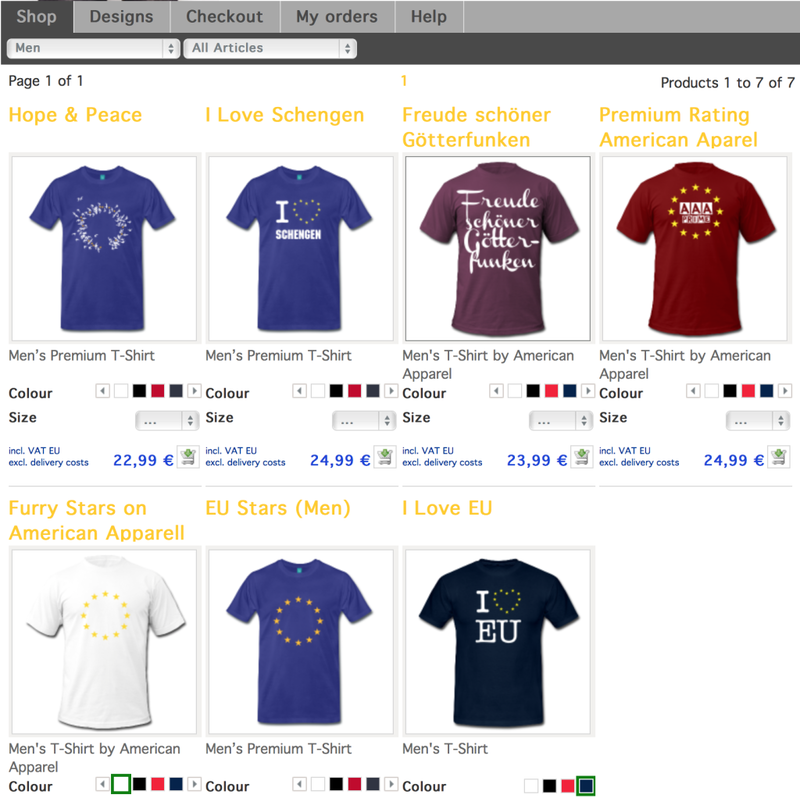 The stars of Europe, I love EU or Schengen shirts, as well many more designs serve the great cause: Let’s unite Europe through shirts!